This Summer 2017, seven students from top engineering university, Harvey Mudd College, will live and work in San Leandro to engineer, prototype and pilot “smart city” solutions in our downtown. The projects include developing solutions for Smart Trashcans, Smart Irrigation and Smart Art Lighting. Curious? Wondering if there could be a role for you? Read on to learn more about the project and how you could be involved. See PilotCity University Incubator Program Presentation here. The concept of the program is to bring back creative San Leandro talent that are currently enrolled at top universities around the country. 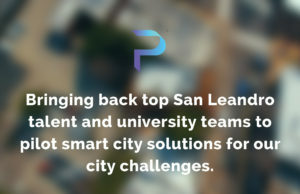 Under the PilotCity University Incubator Program, the students will to help create solutions for pressing quality of life challenges, spurring innovative solutions and the potential for new San Leandro entrepreneurs to to create ventures within San Leandro. The students will live with San Leandro homestay families, receive advisory services from partnering organizations, and incubate at PilotCity located at 101 Estudillo Avenue and the San Leandro Tech Campus located across from the San Leandro BART Station. 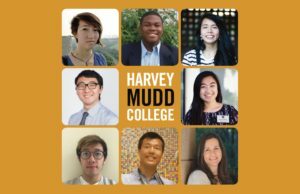 This program sprang from a discussion between Herrick Fang, San Leandro High School valedictorian in 2015 who now attends Harvey Mudd College, and Derick Lee of PilotCity. Herrick, a Harvey Mudd sophomore, is returning to San Leandro for the summer and leading a cohort of Harvey Mudd students to launch this program. Our Innovators from Harvey Mudd! 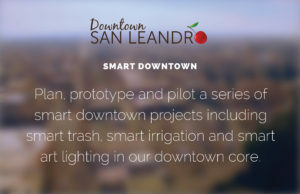 The San Leandro Improvement Association (SLIA), a local non-profit that administers supplemental services in the downtown area, is the host and challenger of these series of smart city pilots. These solutions will enable SLIA to become operationally intelligent through technological advancements to public infrastructure, creating a functional synergy across public, non-profit, and private spheres that supports a downtown destination that is as dynamic and innovative as it is efficient. Whether it’s digital notification of trashcan fill levels ready-for-pickup, downtown planters ready-to-water or engaging citizens through interactive lighting – a “smarter” downtown enables cost savings, scalable operations and increased community engagement. Software: Collecting and providing data using the OSIsoft PI Software to downtown operators. 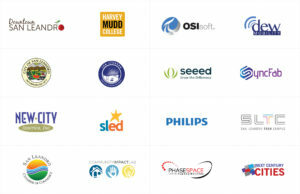 OSIsoft is San Leandro’s premier tech company. Hardware: Using Seeed hardware to prototype and engineer solutions. Seeed is based in Shenzhen, China and has its US headquarters in San Leandro, CA. Lighting: In partnership with the Philips Open Innovation Team, use Philips HUE smart lighbulbs to develop solutions for interactive art lighting. High School Internships: The university students will have their very own interns from San Leandro High School under the internship program of the San Leandro Chamber of Commerce, San Leandro Unified School District and Eden Area ROP. There are several ways you can be involved in the program. Meet the students, learn more about the program and see where you can be involved by viewing the full program presentation here: http://bit.ly/pilotcity-university-incubator-deck. Contact Derick Lee directly at dericklee@pilotcity.com or (510) 676-5861 for additional information.